Buyer Agent Photo Albums. Save hours. So you’ve just looked at 10 homes and your brain is fried. Everything starting to look alike? Oh No! The solution: Buyer Agent Photo Albums. 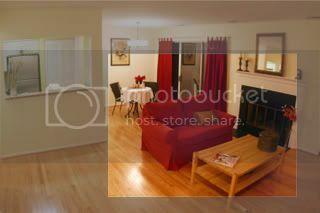 Your buyer agent should be taking 30-50 photos per house that you visit. Seems like a nobrainer to me, and I’ve been doing it for years, but now I thought I’d share this simple, yet extremely effective idea. If your Realtor doesn’t do this, feel free to send them to this post and say, “Gimme dat!” or better yet, get a tech savvy agent. 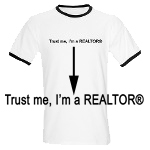 While way too many listings go photoless, (see Buyers! Don’t Skip Photoless Listings. Save $15,000) even the listings WITH photos are meant to put forth the best angles for the seller, not for the buyer. And the shots should show where the rooms start and end. For example, take a real shot of that bedroom that you thought was big in the MLS photo, but was really just a great photographer that ended the shot right before the wall turned (I admit, I do that). The camera should be set to the LOWEST resolution for faster uploading and web viewing. Just start firing away like a mad man. Put it on motor drive if you can, and consider turning OFF the flash for faster recycle time between photos. If you know how to change your ISO, set it to 1600. Start with an exterior photo and a photo of the house number. That way the viewer knows where each house begins. Shoot a closeup of the listing sheet, so you have the address and price. At the end of the day, upload them using Picasa’s free software from Google (or Ofoto) and with one click, you can upload it to a private photo album just for your client (don’t send tons of attached emails, that is so 2001). Then you send them a link to the album. The other huge advantage… SAVE HOURS! Frequently buyers want to “see it again,” because they don’t fully remember how big something was, or the condition of the house. That is fine, but the photo album cuts that need by 80%. Saving the client’s time (and the Realtor’s time). I love Picassa, and i also take a lot of shots, took 125 at my last listing. Only used a handful, but then I usually only get a handful of truly special shots, the rest I keep in case the buyer wants them, if not I delete them eventually. Nice update. I havent started using it yet but it sure sounds worth looking into. I will try it tommorow. Thanks for the tip Frank, I’ll check PIcassa.I agree that having a wide angle lens is the way to go. Even our eyes see much wider then the regular lens so it is more realistic. I curently upload them to webshots… how is Picassa different? Or does any program like that do the same? I’m not sure how webshots works. Picasa is from Google and it is also a great software to view and maintain your images in a super fast organized way. Then in one click you can upload to either a Picasa web album (either public for all to see or private for just your client) or you can upload it to Ofoto (for ordering or sharing). Good tip. I was pretty excited about Picasa when it first came out and I never did anything about it. Will definitely revisit that service now. Thanks. This is a great idea to do. I have taken pictures for clients before and emailed them but that takes a lot of time. I’ll have to try uploading them as an album next time. Great idea – I’ve been doing more of this. I now have a Kodak and have been testing it. I took a client out last week and she loved the idea that I was taking extra pics for her. She wanted all the good and bad, which I gladly snapped away and set up in Ofoto. The excitement on her face alone made the camera worth it! Great idea—what a way to make the client love the way you do business! Had to subscribe to your blog after reading some of your tips. I don’t want to miss anything! Honestly, I have never even thought about this….But, a great idea and wonderful there is a resource that I can use that makes it fast and FREE. I will add this to my 2008 Buyer services. I appreciate all your posts and have learned so much! Flickr is much better than Picassa. You can sign up with your Yahoo name and password. We are all in the market to be successful, and some of us are better at it than others. Besides good photographs, one of the keys to being successful in a difficult market is introspection and knowing what you’re good at and what you need to work on is one critical aspect. Wouldn’t you be more productive with someone to act as a guide? I’ve found the photo album to be the killer app when trying to remember 5-10 places. On that last comment, I wanted to say I have to agree with Frank. Buyers are really smart and I have found they don’t typically look to their agent to be the Vanna White of every house when touring homes. Great post Frank. I use Picassa, but I have only used it for out-of-town clients. This is a great idea and I plan on implementing it immediately! Low res photos? Always have your camera at the highest resolution. You can easily drop the photo size on the computer and the photos always look better when starting with a nice high res version. Not to mention if you ever need to use those photos in a print publication. Good lighting is the most important thing to a good photo, keep that in mind. No need for high res in this situation. These are for screen viewing only. Also it takes up a ton of computer resources and the download time to the computer will take 10 times longer. KISS. Keep it Simple. Picasso is good, thought of doing this, but have not incorporated into plan, just one of the things on the TODO list. Webshots or Flickr will do the same thing for those used to the other online services. Picasso does offer the offline benefit and it is fast. Also, you can you the low res., but I would not use the lowest. It depends, you might want to make a flyer for another client and like a better picture. I have been taking photos for my buying clients for years and provide access to them through a password-protected section of my website. I recently took a real estate course where we were told that it is illegal to take pictures or video of a seller’s home without their expressed permission. This is the first I’d heard of this being illegal, since in my opinion taking photos is a win-win for a buyer and a seller, if the photos result in my buyers developing more interest in the house. Have you run into any problems when a seller or their agent learns that you’ve been taking photos (I assume the agents in your mls read your blog and know that you do this)? I have not had that problem. Once I saw a note that said “no photos”, but that is it. I would think it is up to the seller to disclose that they do not want photos taken if that is the case.